Somewhat to the north of Wolf Lake lies the railroad station of Snellman where, according to S. Ilmonen, Finnish settlement began in 1888. 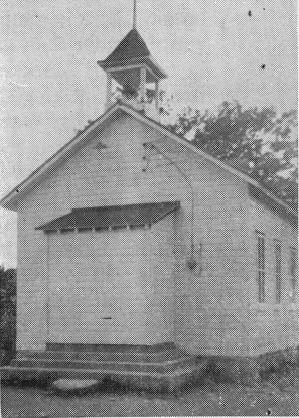 In church affiliation it belonged at first to the Wolf Lake parish, but in 1912 there was established a congregation belonging to the National Church, and which already had its own church and cemetery by the following year. Mssrs. Huuskonen, Anttonen, Haakana, Heino, Heikkinen and Miettinen have served as pastors. The church had 58 members in 1935 and 42 in 1951. One Rauha Korpi served as postmistress of Snellman for several years. Along the railroad, a bit to the east of Snellman, is a railroad stop named Osage. Originally the mail for Snellman was picked up there, and a few Finns have always lived in the vicinity.